The Humidor Handbook is dedicated to helping casual cigar smokers and aficionados find the best humidors, cutters, and accessories to maintain their stogie collection and enjoy a quality smoke away from the cigar shop. It can be overwhelming trying to find the perfect humidor for your collection especially since a bad one can potentially dry out your smokes or require you to re-humidify often. 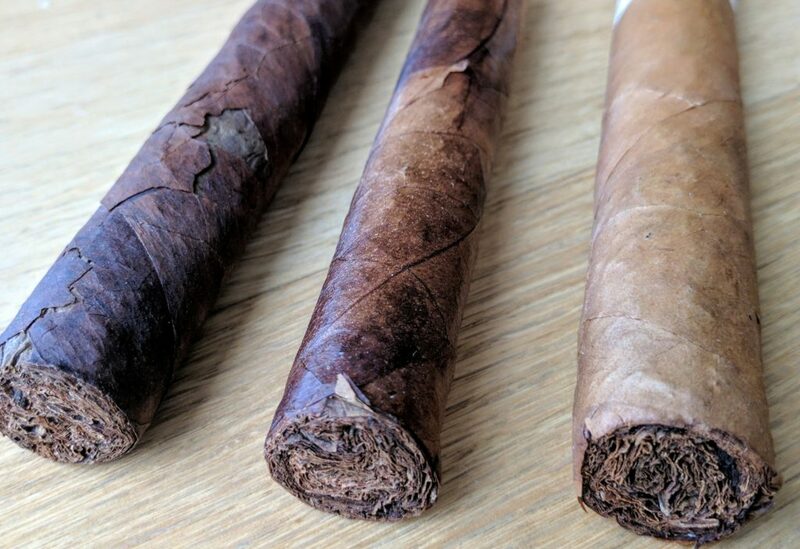 We have been victims of leaky humidors that significantly lose moisture over a week – which spells out disaster for a serious cigar collector out on vacation. That is why we also review the best humidifiers and hygrometers to reinforce your humidor. Size – How many cigars are you looking to store? This is important because packing your smokes in a tiny humidor could potentially damage them and zap the humidity right out of the wood. Seal – A good seal will prevent moisture from escaping. To us, this is one of the most important factors since a dry humidor can become a prison. If you’re a person that likes to “set it and forget it”, then pay close attention to the seal. Maintenance – How often do you plan on rehydrating and maintaining your collection? This goes hand-in-hand with the seal. A low quality humidor will force the user to calibrate the hygrometer and add solution to the humidifier more often. Display – Where do you plan on storing your collection? Humidors can range from very elegant to plain and simple. It really depends on your preference, but a good quality box will maintain your collection regardless of aesthetics. Material – Wood? Steel? Glass? Acrylic? Humidors have a range of different styles and materials. Most tabletop boxes will come in Spanish Cedar, while coolers come in stainless steel. Acrylic humidors are even starting to rise in popularity. Shopping for a humidor online can be a daunting task since there isn’t one brand that rises above the rest. Usually you get what you pay for, but there are plenty of products out there that get the job done. These are our favorite products that do just that. Even though this is technically for travel, it makes our top pick for small humidor. 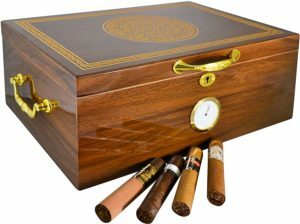 This is a great starter humidor that seals up nicely. It comes with a small humidifier, but we recommend throwing in a Boveda pack to maintain the perfect humidity level. It does not come with a hygrometer, so you’ll have to purchase one separately. I know what you’re thinking – “Why did you choose this instead of the Capri-Glasstop ?” Yes, we know it has a nice glass top and a hygrometer in the front, but those make the humidor vulnerable to leaks; especially for a cheap price point. Now, the Milano is a very solid product with less potential for leaks. 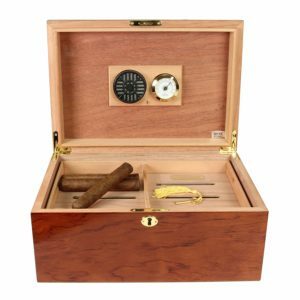 It can hold up to 100 cigars and comes with a hygrometer and humidifier. It even has a lock to keep stogie snatchers out of your business. This La Cubana is perfect for a collector looking to store 100 to 150 cigars. It comes with a hygrometer, humidifier, and a divider to better organize your collection. This is one of our top picks because it’s stylish and very well sealed. If that isn’t enough to try it out, La Cubana offers a 30-day money back guarantee. The luxurious design makes this humidor a perfect piece for any office or desk. 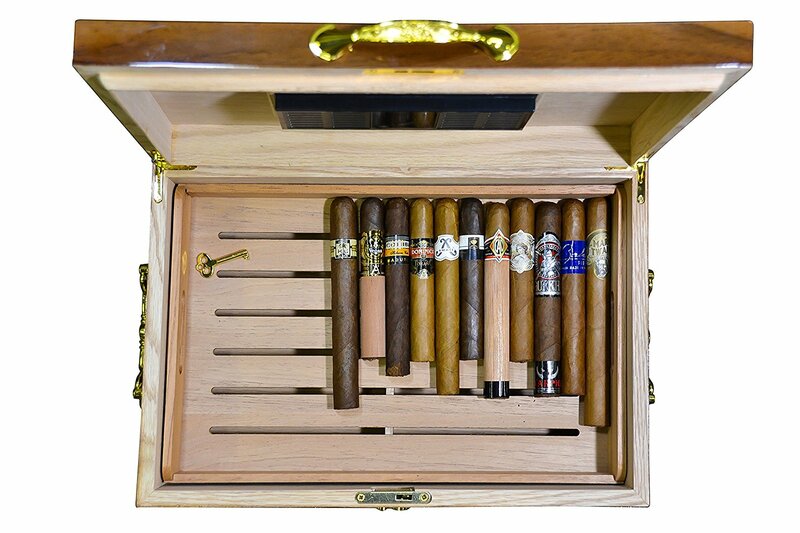 Because this is a larger desk humidor, we recommend adding 5 to 10 cigars a day after properly seasoning it. The Charleston desk top cabinet from the Prestige Import Group is a beautiful and solid choice if you’re looking to store 150 – 200 cigars. It comes in a cherry finish and includes seven drawers, a hygrometer, seven humidifiers, and a lock and key set. The glass face may leak some humidity, but overall it is sealed very well. 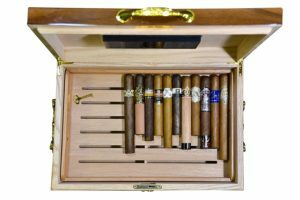 This 250 cigar cooler is a great way to store and even age cigars. It can maintain temperatures from 50°F – 66°F and comes with Spanish Cedar shelves and a hygrometer. Just remember that it still requires a humidifier. After seasoning it, throw in a few Boveda packs in tray and you’ll be good to go. The Whynter cooler humidor is well sealed and is a good option especially if you store your cigars in a room where the temperature fluctuates. It’s perfect for a city like Chicago where the winters are harsh and dry. You can rest easy during those long winter months knowing that your cigars are much less likely to dry out. 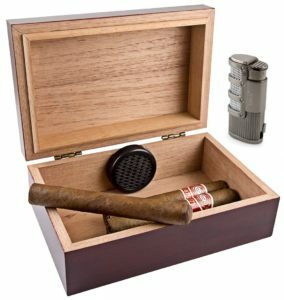 The Cigar Caddy is not just a travel humidor, but a great multi-use tool that is essential for any aficionado with a growing collection of smokes. We have used this on camping trips, weddings, transferring cigars from one humidor to another, and bringing home new sticks from trips. The construction is solid, so it’s a much better option than taking home cigars in sealed bags. It holds up to 10 cigars and can store them for as long as humidifier is filled.